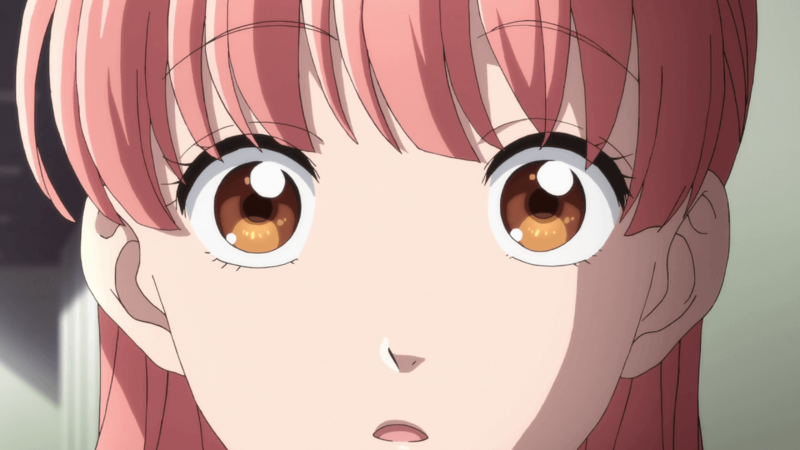 As it’s literally about nothing, Wotakoi finds itself lost in its eleven episode runtime, using “cutesy” moments to make the audience think it has something it wants to do. 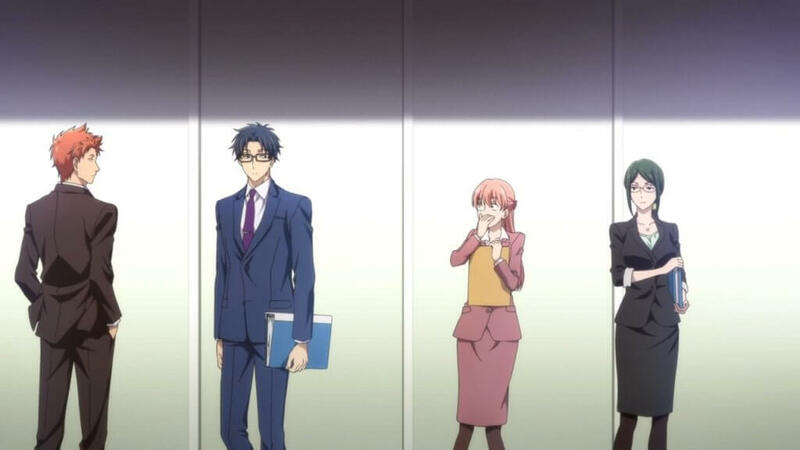 Perhaps fans of Recovery of an MMO Junkie (Net-juu no Susume), who felt weird liking a show made by an anti-semitic nazi-supporter, can rejoice at the existence of Wotakoi: Love Is Hard For Otaku (Wotaku ni Koi wa Muzukashii). However, everything that made Net-juu no Susume empathetic and sweet is something that Wotakoi lacks. The real problem stems from Wotakoi’s first episode because the story is completed within it… and has to be followed by ten more episodes. The show kind of mirrors the same issue that My Love Story!! (Ore Monogatari!! ), another show that hooked its characters up within the first few episodes, had. Of course, when a couple comes together, that’s usually not the end of their story. Clannad: After Story is a great example of what may come after the dating begins. But of course, not every relationship reaches such dramatic proportions. 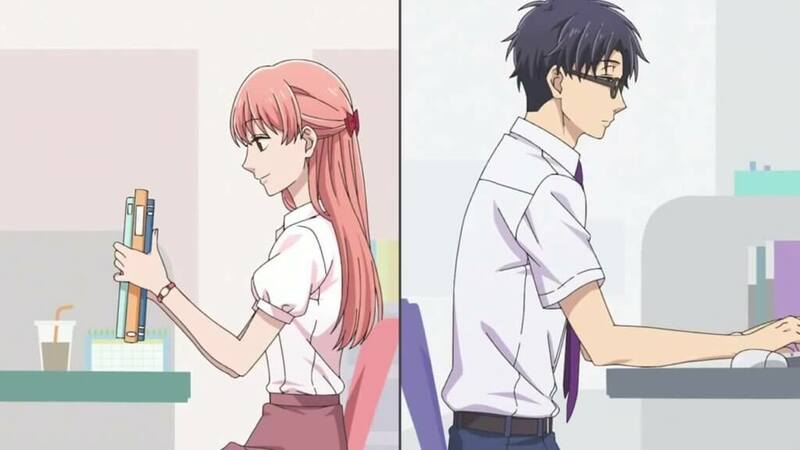 At first, Wotakoi seems like it’s going to tackle the highs and lows of a relationship, and at points, it sort of tries to, but never really hits the nail on the head of what a true experience is like. At the very least, the two examples of a relationship it attempts to capture both seem unhealthy, while the show tries to make them out as cute. Arisa Date as Narumi Momose. There is a plot, no matter how microscopic, and it’s easy to follow. A woman, Narumi Momose, working at a new job tries to hide the fact that she’s an anime otaku, but runs into a childhood friend/co-worker, Nifuji, who accidentally spills the beans. This brings her to the attention of two other co-workers, Koyanagi and Kabakura, who are otaku themselves. Her childhood friend is also an otaku, but specifically for games. The four begin hanging out at an izakaya every night like they’re the cast of Seinfeld. Four secretly weird people who are only friends with each other because they can’t be who they really are with anyone else. However, that’s where the Seinfeld comparison comes to an end, because the anime tries to sell its antics between the four characters with comedic gags, but are almost always done in a very bland and seemingly apathetic manner. For example, Momose mentions her insecurities about being an anime otaku, but unlike in Net-juu no Susume, we never see any moments of those insecurities or how past events have affected her perception of the world. It doesn’t need to be anything heavy, but in this case, something is better than nothing. The show goes on to find Momose and Nifuji in an awkward relationship, though this could be a result of the extremely stiff animation (so stiff it’s daring to even call it animation). Nifuji is a stoic, awkward guy in general, which is his selling point for the anime. But he isn’t really Momose’s type, as she says so herself; she just decides to date him after a series of bad relationships. This could have brought up a lot of discussion on how relationships can build love after a while, instead of starting one with love already in the mix. Instead, the show just treads on, seemingly not caring about what Momose and Nifuji really mean to each other. Narumi Momose and Hirotaka Nifuji as the show’s poster couple. The other relationship, between their two co-workers, is very different. Koyanagi and Kabakura basically fall under the sort of relationship where the two people generally seem to just hate each other. Most of the time, this sort of romance is seen with elderly couples who have just been with each other for too long. But Koyanagi and Kabakura (whose name, by the way, sounds like it belongs to a cryptid) are young, yet constantly insult each other. The two seemingly never note one actual thing they like about each other, and one scene that gives them the opportunity only leads to a painful fight. Of course, relationships like this do exist, but they either end in break-ups or murder trials. However, Wotakoi decides to sell this as a cute relationship. At least to a western point of view, that feels slightly off-putting. Maybe it’s mainly a cultural difference; after all, the Japanese go about romance very differently from most other places. Yet the show doesn’t seem to have anything to say about its couples, nor does it know where to pick fun out of its characters, typically reusing one or two gags from the first few episodes. This especially shows up in the dialogue early on, in which the characters themselves have nothing to really talk about. Their exchanges feel extremely robotic and lack any flow of a real conversation. The main cast of the show. The production values don’t make up for anything either, as mentioned before. “Bad animation” is a hard term to give a definition to, because the only such thing as bad animation is something with very little to no animation. Even then, some anime with little to no animation use their lack of movement to generate a mood (e.g. Belladonna of Sadness and every Shaft production). Unfortunately, even the backgrounds of Wotakoi are as bland as an American high school corridor. The blandness also invades every other production element: from the music, to the editing, to framing. It’s a very boring show to look at or listen to, in general. Wotakoi could’ve been a comforting show if it had at least chose something to do or say about its characters. Instead, it focused on antics stemming from the characters’ awkwardness and turned their rather unhealthy relationships into something to seemingly blush about. It could be that there is an audience for this meandering kind of show, which simply tries to string out as many “cutesy” moments as it can find. Though, even for its target audience, there seem to be more engaging options than this one. At least the series gives itself a more rare setting of adulthood and the office space. It’s too bad it doesn’t really use either of them. You can watch Watakoi: Love Is Hard For Otaku on Amazon Prime Video.